Congratulations on your win at the London Wine Competition – the world's most relevant wine competition. Now its time to showcase your success and boost sales. Winning an award at the LWC clearly demonstrates to the trade how well the wine will be perceived in the market and give the trade a strong indicator to stock that wine. It will also allow the trade to hand-sell your wine to their end consumer with increased confidence as the wine was judged on the merits of it’s value, package, and quality. 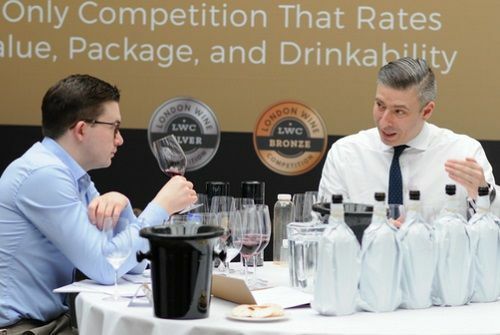 Winning an award at the London Wine Competition is just the first step, Here, we provide you with the tools to make the most of your awards. 1. Make sure your bottles and marketing stand out with LWC bottle stickers. Get your LWC bottle stickers here. 2. Sign up for participating events where LWC will showcase winning brands. 3. Use our Press Templates to create your own press release. Send it to your distributors, importers, retailers, and end consumers. 4. Share your win on social media with the hashtags below to get RTs from us and our partners. 5. Show off at Tastings. Show the on-trade you mean business at generic tastings by displaying the easily recognizable logo prominently. 6. Tell the World. This may seem obvious but it works. Do a blog post listing your successes, a news release for your regular clients and suggest that your generic body do the same. Include the results in your customer newsletters, place the news prominently on your website. Send us your press release and we will send it to our media partners and also post it on BTN and BevRoute.